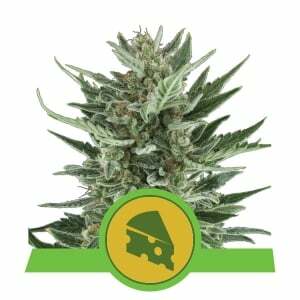 Autoflowering cannabis is great to grow. 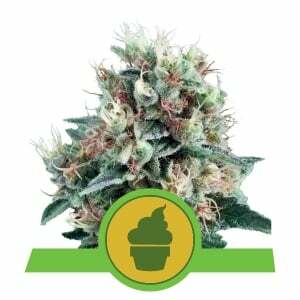 Whether you are new to cultivation or a veteran, you will be impressed by the latest uber-potent, super fast autoflowering strains. In this blog, we break down everything you need to know to grow great ganja with autoflowering seeds. When we talk about autoflowering cannabis at Royal Queen Seeds, we are referring to the contemporary hybrids created in the last 10 years. It’s true that many early ruderalis crosses produced very ropey ganja indeed. Even the Lowryder hybrids of the early 2000s were at best dwarf substitutes for photoperiod marijuana. We’ve come a long way in just over a decade. The autoflowering cannabis strains available at time of writing in early 2018 are more than a match for the photoperiod legends of old. These are the days of the super auto: bigger, stronger, faster. Although, there are plenty of compact modern classics for micro-growers too. “All changed, changed utterly, a terrible beauty is born”—W.B. Yeats. WHAT’S THE OPTIMAL LIGHT SCHEDULE? Autoflowering cannabis can survive with as few as 5 hours of sunlight per day. But if you want your plants to thrive, hit peak potency, and produce a heavy harvest, they need 18+ hours of light per day. The optimal light schedule for indoor cultivation of autoflowering cannabis is a consistent 20-4 for the complete life cycle. Of course, 18-6, 20-2, and non-stop 24-hour schedules all have their merits, but we have gotten the best results from the 20-4 schedule. 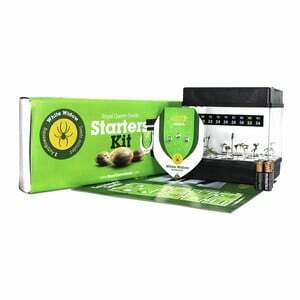 Outdoor growers can potentially get started growing as early as spring. However, we still recommend germinating seeds and growing seedlings indoors under artificial lights for a week or two for best results. We will discuss outdoor options in more detail a little later. The biggest difference between photoperiod and autoflowering cannabis is that the clock is ticking for an auto the moment the shell of the seed splits open. The post-germination life cycle of the vast majority of modern autoflowering strains is 8–12 weeks total. Unlike photoperiod cannabis, autos do not require the common 12-12 light schedule to transition to bloom. An autoflower will progress through its life cycle regardless of the light-dark cycle. It’s almost impossible to delineate the seedling stage of vegetative growth with autoflowering strains these days. Moreover, within 30 days, most will suddenly burst into the bloom phase. Getting autos off to a strong healthy start is a critical factor for successful cultivation. A lot can happen over the course of a week with a vigorous autoflowering hybrid in the grow-op. Not a whole lot of time for transplanting either. 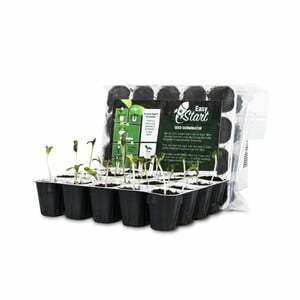 We recommended using our germination kit or sowing directly into first and final containers right away. 10l–20l plastic pots/containers with plenty of drainage holes in the bottom are perfect. Air-Pots are even better. Many growers are finding out the hard way that small pots are unsuitable for the larger, modern auto hybrids. Be prepared to make daily adjustments to your grow lamp to avoid scorched foliage. Moreover, just like photoperiod strains, the optimal environmental conditions for young autoflowering plants are temps between 20–25°C and RH in the 50–70% range. Furthermore, nutrient requirements will be considerably lower than photoperiod strains, so there’s no good reason not to grow organic. Generally, autos prefer a mildly fertilised, well-aerated growing medium. Light mix soils and/or coco are highly recommended substrates. Most growers favour cool white CFL, LED, and MH lighting for the brief vegetative period. However, dual-spectrum HPS lamps are just as effective and probably more convenient to use. The larger, next-gen autos like Amnesia Haze Automatic can be real cloudeaters with mature plants reaching 1.5m in height. So don’t be surprised if you have a 30cm tall little ganja tree developing only 2 weeks after sprouting. Explosive 5cm vertical growth spurts are not uncommon amongst the most vigorous hybrids. On the other hand, more indica-dominant strains like White Widow Automatic tend to have a more gradual, bushy growth pattern. Steadily creeping up in 1–2cm intervals per day, they peak before passing 1m. As soon as you can see the pistils shooting from the first flowers, you can take it as a given that within 45–60 days, plants will complete the bloom cycle and be ready for harvest. Whether you are or not. But you will be prepared because you’ll make the necessary adjustments when required. Low to medium-strength feeds of vegetative growth fertilisers will be replaced by bloom base nutes and timely doses of supplements and bloom boosters. Again, a Spartan feeding regime is advised. No need to alter the light schedule as you will be sticking to your original schedule until harvest. But you will need to make sure temps don’t exceed 28°C, and you should reduce RH to a lower 40–60% range. Plants will stretch to varying degrees. Regardless, you must be paying attention and always maintain the optimal distance between the light and the canopy. A set of easy-roll hangers or rope ratchets will make this job a lot easier. Do not assume that all autos will develop a squat, shrub-like structure unless the breeder has data to suggest so. Devastatingly dank hybrids like Royal Gorilla Automatic can be space-hungry monsters, sprawling out and up, producing long, shimmering, gooey flower clusters. While a stocky, skunky hybrid like Royal Critical Automatic will probably max out at a rather pint-sized 60cm indoors, it still manages to pack on the bud weight, with short internode spacing and an incredible flower to leaf ratio. Naturally, the final week or two of flowering should be reserved for a thorough flushing of the medium. Pure water or a light flushing solution will work just fine. By the time the majority of the hairs or pistils on flowers have changed from white to orange/red, you better be flushing. Don’t skip this critical final stage. You owe yourself the tastiest, untainted flowers. HOW WILL AUTOS RESPOND TO PRUNING AND TRAINING TECHNIQUES? The short answer is awesome! Most next-gen autoflowering strains will respond very positively to LST. And provided you prune early, topping and fimming can multiply colas and boost yields to boot. Plus, the ScrOG method can be combined with any of these techniques for maximum yield; although, high volume cultivation utilising the SOG method is still probably the most popular grow style at present. Increasing numbers of auto growers are experimenting with the same common high-yield pruning and training practices used by conventional photoperiod cannabis cultivators. Beginner growers probably shouldn’t get carried away with intensive or excessive pruning and training until they gain some experience. However, a little bending of shoots to create a flatter canopy can’t hurt yields. Similarly, some minimal defoliation to increase light penetration is unlikely to stress healthy plants, provided you limit yourself to removing large fan leaves shading bud sites. ARE AUTOS A GOOD CHOICE FOR OUTDOOR GROWERS? No, they’re a great choice for outdoor growers. Essentially all you need is reasonably warm, sunny weather for 2–3 months, and you are good to grow. If you live in a cooler northern climate with short summers, autos are a sticky green lifeline. Where other strains will perish, a hardy auto can flourish. 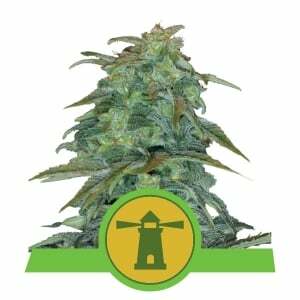 Blue Cheese Automatic is a proven performer outdoors across northern Europe. For those based in warmer southern climates, autos can potentially produce multiple harvests during the spring-autumn growing season. Gourmet bushy strains like Royal Bluematic and Royal Jack Automatic can produce outstanding, stealthy harvests on sundrenched balconies, terraces, and plantations. CAN THE NEW BREED OF AUTOS REALLY MATCH THE POTENCY OF PHOTOPERIOD CANNABIS? In a word, absolutely. With genuine regal dankness such as Royal Cookies Automatic touching 18% THC, and the King Kong of all autos Royal Gorilla Automatic, a couch-locking 20% THC, you’ll be blown away. Even if you are the most demanding of cannabis connoisseurs with the highest standards and a nose for dank weed, you won’t be disappointed by low potency, leafy buds. If you treat your autos with basic grower TLC, expect to be pleasantly surprised by deliciously potent marijuana cropped in record time. WHY SHOULD MEDICAL MARIJUANA GROWERS CONSIDER AUTOFLOWERING STRAINS? 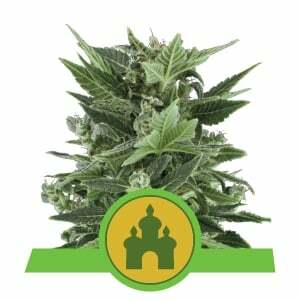 CBD-rich autoflowering cannabis strains have arrived. For the medicinal grower striving for self-sufficiency, the latest high-CBD hybrids are the express solution. 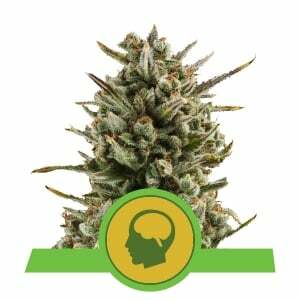 Strains like Stress Killer Automatic CBD and Fast Eddy CBD are some of the fastest flowering, genuine whole plant medicine the world has ever seen. This is not really the end. It’s the end of the beginning. What are you waiting for? 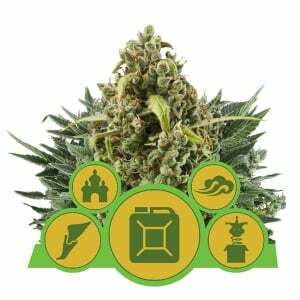 It’s time to get growing autoflowering cannabis strains.